Collectivism, redistributing capital, more power for workers — what does a more socialist America would look like? Socialism, or at least a strain of it, is hitting a growth spurt in the headlines, on the Hill opinion polls. Looking back, capitalism has been America's A.C.
Socialism was more of Screech: easygoing, likable, but just kinda there. But eventually, even Screech got a girlfriend, Violet. In the past, some flirted with Socialism as a solution to the Great Depression . During that same era, political opponents labeled FDR a "socialist" because of his New Deal policies. But what exactly is socialism? And how would it change America's political and economic structure? The stated goal of all socialists is an end to inequality. The ways to achieve that vary greatly. They obviously depend on the degree of socialism envisioned and the pace at which it's implemented. 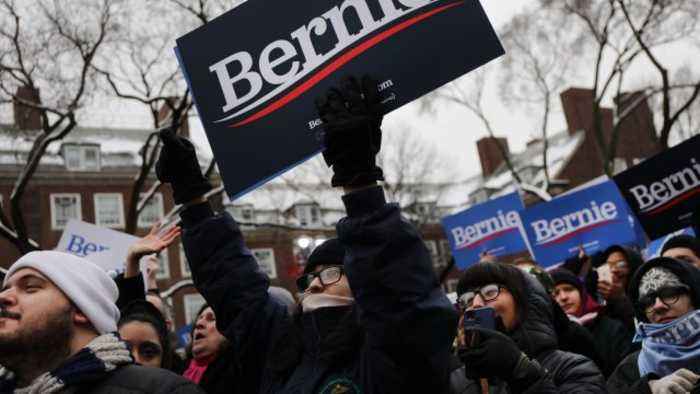 Here is a range of examples — not all are shared by all socialists: ● Strengthen the safety net: This typically includes universal health care ("Medicare for all"), and maybe even a jobs guarantee program. ● Really strengthen the safety net: Provide for everybody who either loses a job or cannot work, including children, students, the elderly, people with disabilities and others. ● Fire the authoritarian boss: Workers would own and run workplaces. It's called democratic ownership. ● Give power to the workers: This includes mass unionization of the workforce, protections against arbitrary termination and control of seats on corporate boards. ● Fire the Senate: Just get rid of it. It's not representative because it provides big states and small states with the same representation. ● Monopolize the monopolies: This includes state ownership of utilities and the railway system. The guiding principle in capitalist America is individualism. In a socialist America, it would be collectivism — everything for the greater good. Critics of capitalism say it inevitably results in a wide gap between rich and poor — inequality. Critics of socialism say workers are given such a high level of support they lose the motivation to work more and achieve more, and innovation dwindles. It's worth noting that some argue America actually has a quasi-capitalist system because of programs like welfare and the public education system; those could be called socialist-lite. As socialism (or its ideological offspring) become a more central part of the political discussion, voters are brushing up on its implications while politicians try to figure out what their bases want. Business Insider reports the Democratic Socialists of America have officially endorsed Bernie Sanders for president in 2020. 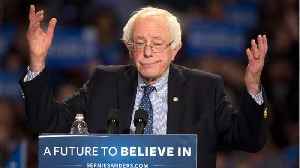 The organization says that Sanders is the only true Democratic Socialist..